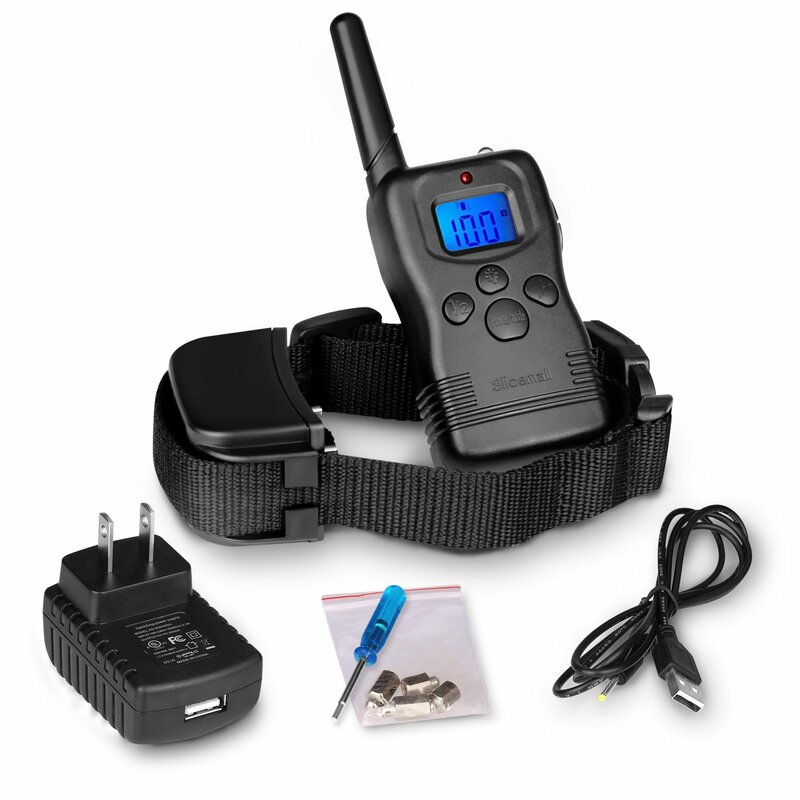 Home › Home and Kitchen › Slicemall Rechargeable Dog Training Collar With Remote Blue Backlight Lcd E-C..
Slicemall Rechargeable Dog Training Collar With Remote Blue Backlight Lcd E-C..
POWERFUL- Beep/Vibration/Shock/Flash.330 Yards Remote Range and 100 Levels Of Vibration And Static Shock For15 To 120 Lbs Dogs. POWER SAVING - Larger Battery Capacity,Automatic Standby And Memory Function,Can Automatically Switch To The Standby Mode,Which Will Save More Power. SIMPLE OPERATION - 10 Seconds Fast Connection For The Receiver And Remote, Easy-to-read Lcd Screen Shows The Stimulation .Backlight Lcd Screen For Easy Low Light Condition Viewing. ADJUSTABLE - Fits Most Dogs. From 15 To 120 Lbs Dogs With A Nylon Collar Size From 7 To 27 Inches Long. DURABLE - Upgraded Materail And IC,80% Longer Lifetime.